Our family is from Washington State (in the US), but we are currently living in Sydney, AU. My husband’s job brought us here for three years. 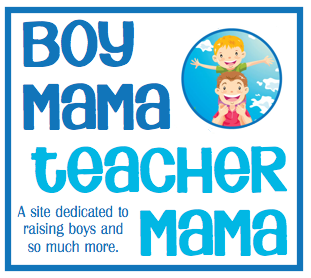 While here, I have been fortunate enough to stay at home with my two boys. I have made a very concerted effort to experience as much of the Australian culture and heritage as we can. That said, I will continue with my post and you will see why I shared a little about my family and our living circumstances. 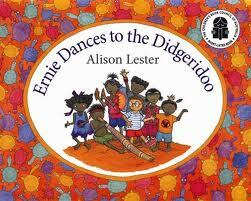 This week in Australia is the celebration of the Aboriginal and Torres Strait Islander People. The Aboriginal people are the first people of Australia and have been living here for over 60,ooo years. Unfortunately, the Aboriginal people have a similar history as the Native Americans in the US. They were living here peacefully until a group of Europeans came and took over their homeland. The Australian government is taking steps to “right” these wrongs. The Aboriginal people are a strong and proud group of people with a fascinating beginning and a beautiful culture. So today, we went to the kick off festivities that celebrate this history and culture. The festival was great fun. There was traditional dancing and music. 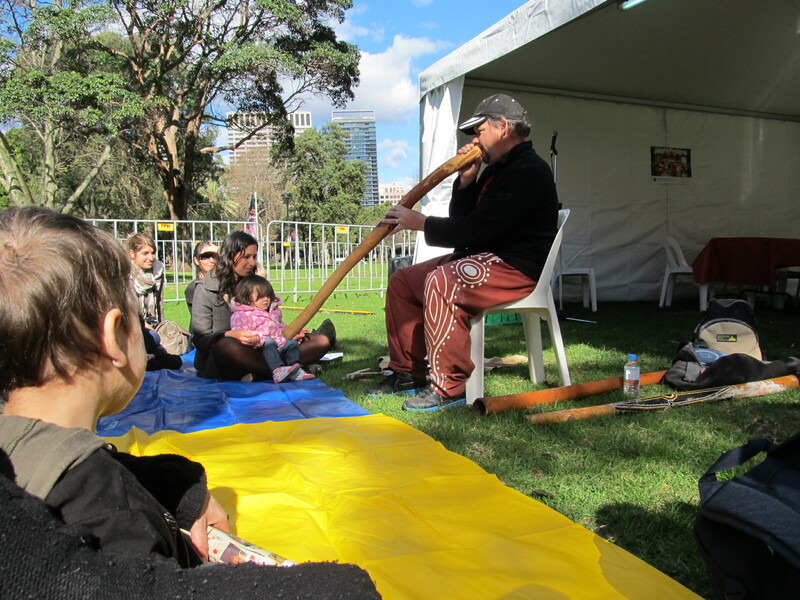 We saw several people playing the didgeridoo and even attended a kid-friendly workshop on the instrument. 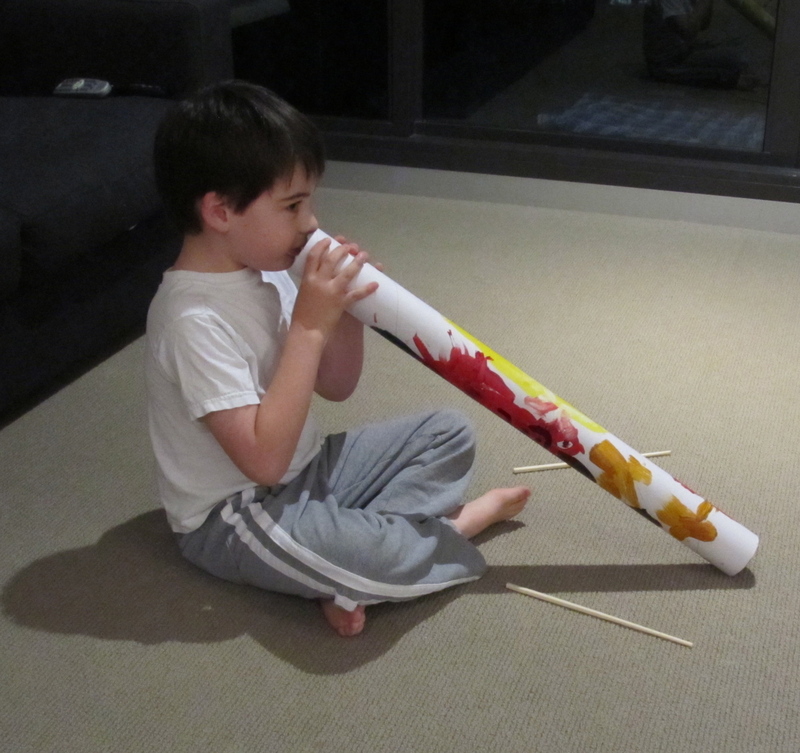 When we got home from the event, I put my youngest down for a nap and my older son and I set down to make our very own didgeridoos. Real didgeridoos are made from hollowed out gum trees. Since we didn’t have that laying around the house, we used two mailing tubes. 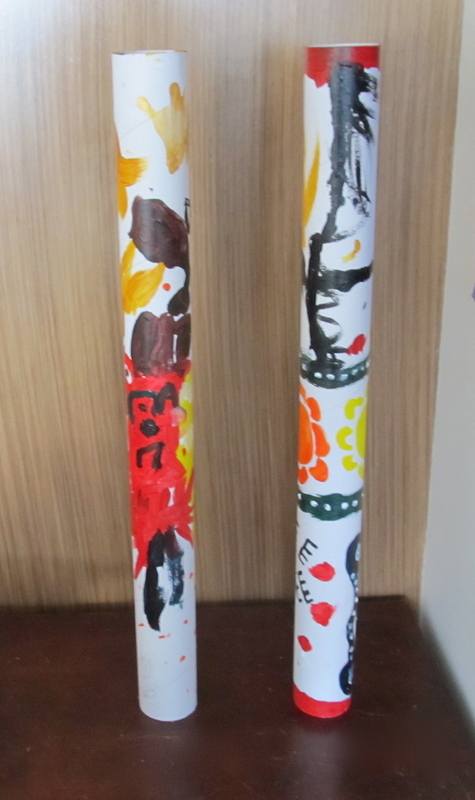 Before decorating the tubes, I showed my son some pictures from the internet of real didgeridoos and we talked about how they are decorated. I then showed him some print-outs I had prepared earlier with some traditional Aboriginal symbols. 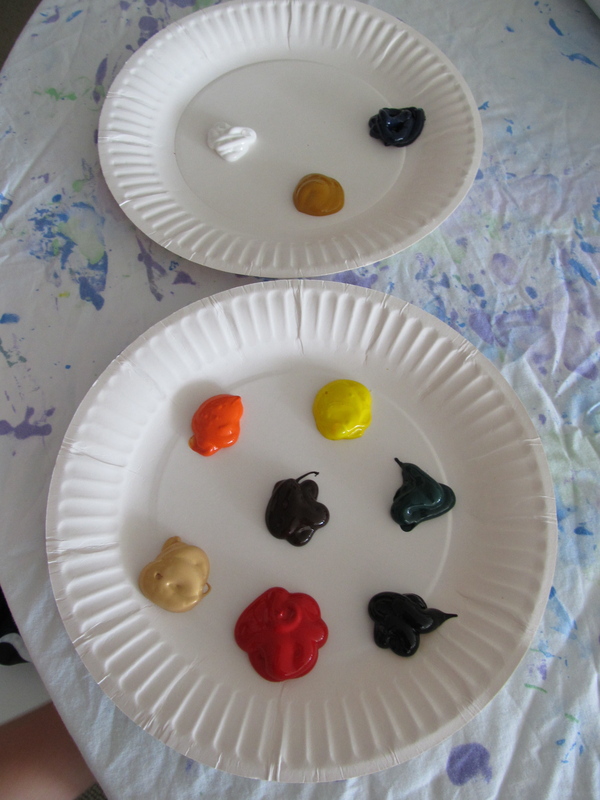 We then began painting. We must have painted for almost an hour all the while talking about what we saw at the festival, what we were adding to our didgeridoos and he shared some of the things he had learned at school about the Aboriginal culture. 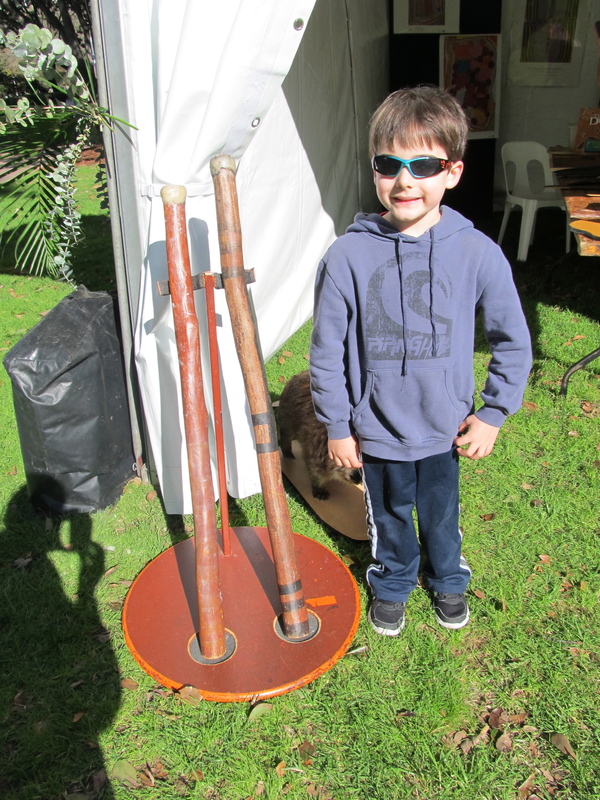 I have to say our didgeridoos came out really well and best of all– they really work! Now, they aren’t as good as the real thing, but they will do. We found this book and love it! What a fun activity! And thank you for including all the resources you used. Good for you for helping your boys appreciate local culture while you are living in Australia. Thanks for sharing! 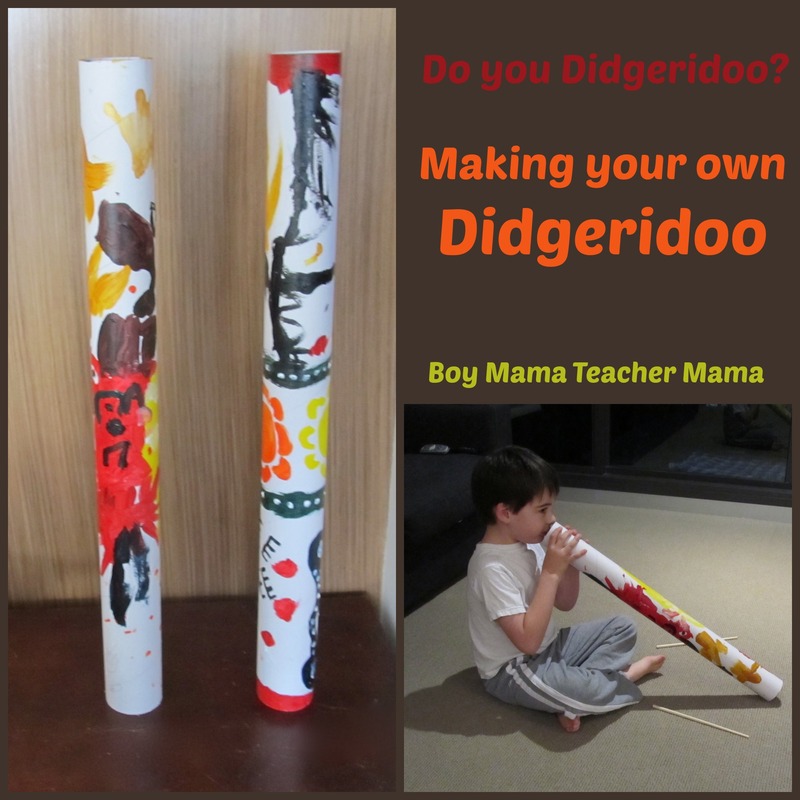 The didgeridoo you guys made is hilarious! I saw one of those for the first time on American Idol- such a cool instrument! I love this project!! And thanks for including a book list. Super helpful. I’m pinning it to the MemeTales collaborate world culture board. Love! I think the use of mailing tubes would come in handy and be well worth the use for other projects as well because of their sturdiness!